The more astute among you surely have noticed that we have a new feature on our website. It’s called the Store. The Store is where you can shop for some selected Surly goods, slap in your info, give up the card numbers, and have a piece of us shipped directly to you. “But, hold on a sec. Don’t y’all just run your parts through bike shops?” Yes, my sistren and brethren, we does. This new deal will notify the closest bike shop that you’ve ordered a thing – that is, the closest bike shop that’s signed on with the deal and has it in stock. That bike shop will then ship you the thing you’ve ordered. So, now you can get your Surly stickers, your wool jersey, your Singleator spring, and all kinds of whatnot in a deerect sort of fashion – while still supporting bike shops. Man, how’s that for everything is awesome? 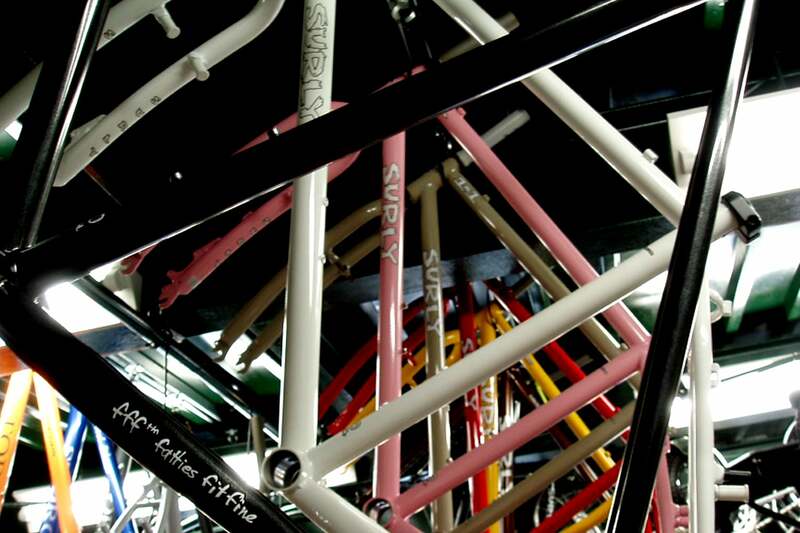 Bike shops, if you’d like to get in on this, please contact us at derby at surly bikes dot com. Or, call the warmline at 877-743-3191. I love it when everyone wins.